Satisfy your sweet tooth as you extend your sticky arm in attempt to reach the sweet thing. Grab the objects, solve different puzzles and reach the candy with as few clicks as possible. Have fun! In this game you will face to so many brain-twisters! 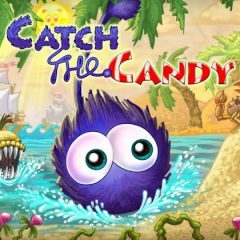 As you have already understood, your main task is to catch the candy! Use the sticky arm and do everything to get your aim. It is so fun, you can be sure! Just use all your brains and logic and become the winner of this amazing puzzle game. We wish you good luck and enjoy the game right now! But be attentive, and try to grab the candy with fewest clicks as possible! Do not waste your precious time and start it immediately! Have a lot of fun!